It doesn't come as a surprise that families considering BASIS Independent Fremont are eager for opportunities to get "inside" and see what it will be like. As a new school, we know how valuable it is for families to touch and feel the experience of going to a BASIS Independent School. Luckily, I was able to take a tour of our sister school BASIS Independent Brooklyn and am happy to offer you a first-hand account of my experience. I had the great fortune to spend last week at BASIS Independent Brooklyn, our sister K-9 school in the Red Hook neighborhood of Brooklyn, New York. I had two main goals for this trip. 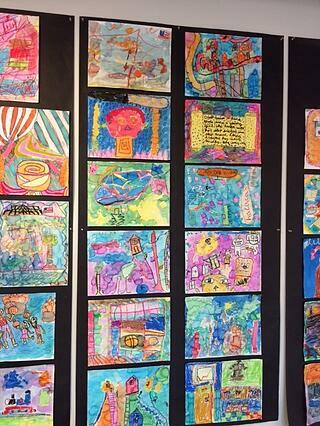 First, I wanted to spend time in every K-5 class, so that I could see our amazing curriculum in action. And secondly, I wanted to talk with faculty and staff about lessons learned at the primary school level, and ask for any and all advice they might have, as we begin our new school in Fremont. This ability to collaborate and work with my counterparts at our other schools is one of the reasons why I love being a part of the BASIS Independent school network! I’m excited to be able to share some of the highlights of that trip in this post. The kindergarten classrooms were dynamic, nurturing environments for the youngest students in the school. 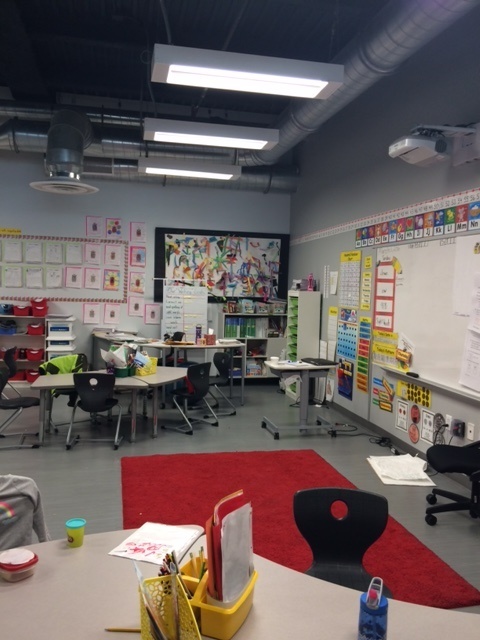 It was clear that a tremendous amount of thought went in to setting up the classrooms to support the accelerated kindergarten learning goals. I was amazed at the math the students were learning in kindergarten. They are just over halfway through the year and are already learning double-digit addition, subtraction, and telling time to the half hour. The most incredible part, though, was how excited the kids were to be working through these types of problems. They were so proud of themselves for mastering this content! When I spoke with a kindergarten teacher after the lesson was over, she remarked that prior to coming to BASIS Independent, she had no idea young children could accomplish so much. Really, that idea is the heart of our program: students can do amazing things when they are properly encouraged and supported. As I sat in all of the K-5 classrooms, I began to notice the emphasis teachers placed on building the skills necessary to thrive in school. In humanities, this meant having signs reminding students about basic grammar rules or how to work through sounding out a tricky new word. Math and science classes had lab safety reminders on the walls, as well as cleverly decorated signs reminding students of various math rules (many of which were created by the students themselves!). Teachers taught content, but also process, which I believe is so very important at all academic levels. Moreover, teachers modeled effective organizational techniques in class by reminding students how to set up their desks at the start of class. 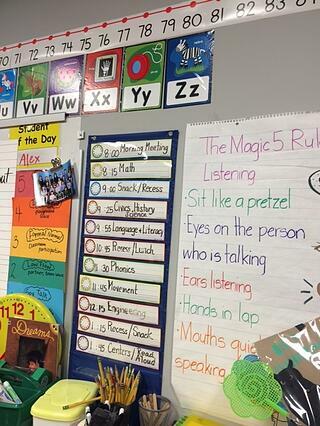 Teachers arranged their classrooms in such a way that students always know where to find the learning goals for the day and any homework they might have. Skill building wasn’t all academic, though. At the primary level, it is incredibly important to nurture and develop social-emotional skills. It is clear that this is happening in the BASIS Independent primary schools. 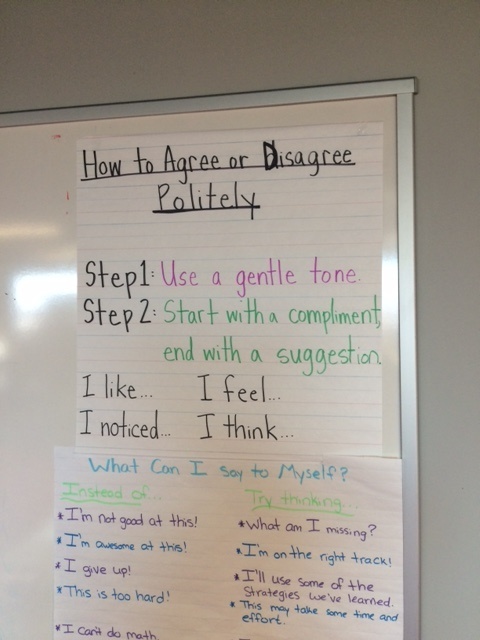 Behavior contracts are in some rooms, while signs reminding students how to disagree politely are in others. 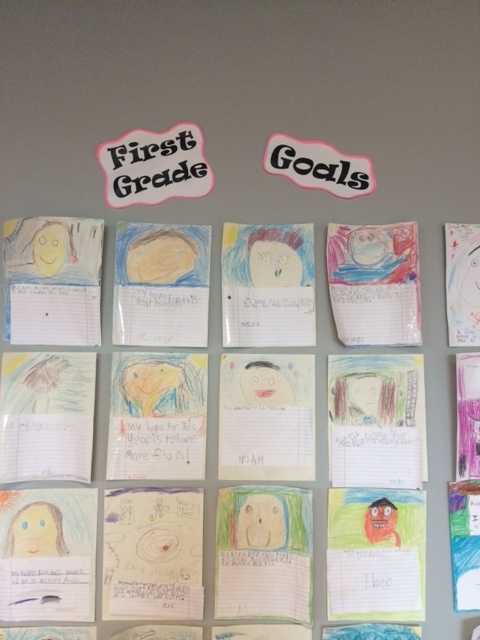 I also thoroughly enjoyed walking around and reading the goals, both personal and academic, that the primary students set for themselves at the beginning of the year. There is no doubt that BASIS Independent offers a rigorous academic curriculum for students, but this program is so much more than that. Students are encouraged to be creative, to take risks, and to challenge themselves in exciting ways. There was evidence of this throughout BASIS Independent Brooklyn. I saw impressive art work throughout all of the school’s hallways, and the students were happy to point out how their projects in art or in their connections class allowed them to utilize the knowledge gained in their “core” academic classes in different ways. I am very appreciative of the wonderful hosts I had throughout my time in Brooklyn. Seeing how excited both students and teachers were to be in the classroom was a rewarding and encouraging experience for me. I am so happy to be able to bring this amazing primary school program to BASIS Independent Fremont. Learn more about BASIS Independent Fremont by registering for an upcoming Information Session.